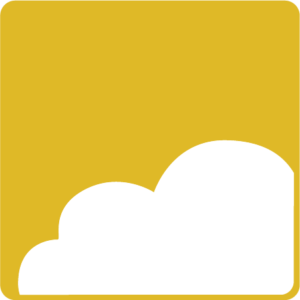 Soliant.cloud® delivers a comprehensive and reliable cloud-based deployment for your FileMaker solution. Our expert staff ranges from award-winning FileMaker developers to former FileMaker Inc. Senior Consulting Engineers and Amazon Web Services (AWS) Certified Solutions Architects. We’ve constructed a platform specifically for FileMaker deployments in real-world production implementations. As the FileMaker platform continues to evolve, solutions built on it must support a more agile workplace from the desktop to the mobile user. They must integrate with other web services, deliver accessibility worldwide, and emphasize security. Your solution’s infrastructure, connectivity, and security are as important as its design. At Soliant.cloud, we have intimate knowledge of the varying ecospheres of FileMaker solutions. This allows us to better troubleshoot, monitor, and extend the platform to take advantage of applicable services within AWS. Soliant.cloud stacks our trusted FileMaker consulting services on the robust capabilities of AWS. We streamline the cloud onboarding process, custom instance and environment configurations, security, and connectivity. Our team then provides maintenance for your specific cloud instance(s). We constantly evolve the Soliant.cloud architecture to deliver comprehensive hositng services. Our team manages the entire setup for your server and hosting environment to provide a complete end-to-end solution. We thoroughly vet and configure each instance with FileMaker solutions at the center. Our team provides comprehensive infrastructures to deliver a reliable, extensible and secure platform. When your application needs enhancements, you have access to our FileMaker-certified developers. We’ll have familiarity with your solution’s infrastructure and underlying environment. This allows us to quickly diagnose and design necessary coding and infrastructure changes. Each Soliant.cloud instance includes diagnostic tools to assist our team at a moment’s notice. Soliant Consulting understands the importance of reliable and consistent monitoring and maintenance. We provide real-time monitoring that produces actionable data for better environment maintenance. We leverage AWS and proprietary-developed systems to control your hosting costs. We regularly monitor specific services to deploy updates and enhancements automatically when necessary. Recent studies suggest that 65%-85% of SMBs will leverage cloud services within the next few years. When navigating the complexities of cloud computing for your solution, partnering with a FileMaker expert makes a crucial difference. We have built a platform to help you successfully bridge this evolution and leverage for years to come. We’re helping clients leverage FileMaker 17’s new capabilities in Soliant.cloud. Contact our team to learn more about Soliant.cloud and how it can transform your FileMaker solution today.